NEW FOR 2018-19 – Upgraded to heavy-duty fabric plus NEW Stay-Put-Corners and FREE squeegee head all included in the box. 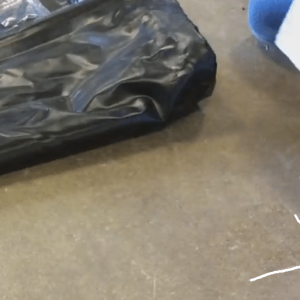 ADVANCED TECHNOLOGY, NO ASSEMBLY REQUIRED, AND EASY TO CLEAN – Heat-sealed watertight seams are reinforced and thermal welded for durability and functionality. Simply just roll out the mat and it’s ready to use. Also with a few pushes of your squeegee (now included), your mat is clean! 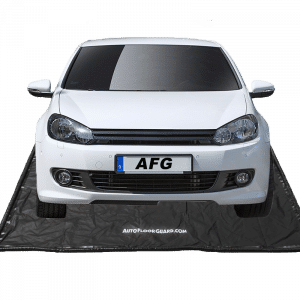 STAY-PUT-CORNERS INCLUDED – Copied by some but invented by the original AutoFloorGuard the leader in keeping your garage floor clean! 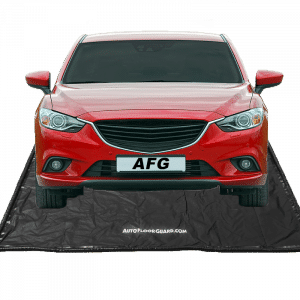 1 YEAR LIMITED WARRANTY – All AutoFloorGuard containment mats include a 1-year limited warranty and have not changed the key features that made AutoFloorGuard #1 in the containment mat industry. ADVANCED TECHNOLOGY, NO ASSEMBLY REQUIRED, AND EASY TO CLEAN – Heat-sealed watertight seams are reinforced and thermal welded for durability and functionality. Simply just roll out the mat and its ready to use. Also with a few pushes of your squeegee (now included), your mat is clean! STAY-PUT-CORNERS INCLUDED – Copied by some but invented by the original AutoFloorGuard, the leader in keeping your Garage Floor Clean! 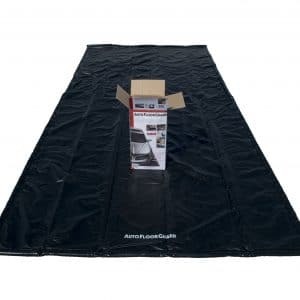 AutoFloorGuard is the only company that offers handmade custom-size garage containment mats online! And they are manufactured in our factory in Perrysburg, Ohio. 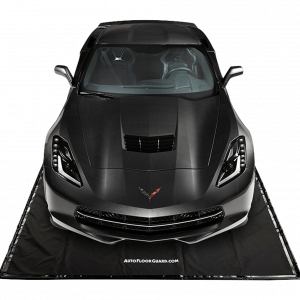 The AutoFloorGuard custom mats are of the highest quality you would expect from a US manufactured product. Our imported product is great, but if you laid them side-by-side with our custom hand-made mat you would immediately see the difference! 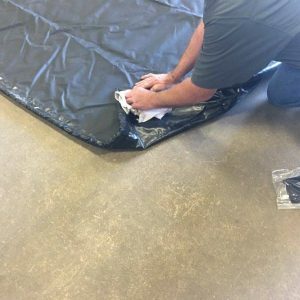 Each containment mat would be made with the Best Fabric, Highest Foam Edge. Hand-Made Welded Seams and grommet corners and include Stay-Put-Corners. Each Mat is made to order and sold on a per sq. ft basis. Allow 2-3 weeks for shipment. Sorry, no returns on custom orders. If after unboxing AFG you find the natural wrinkles and creases or corners that don’t sit flat. These areas need some time to relax. 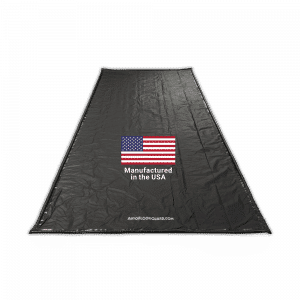 If you experience wind gusts that lift your mat when pulling in or out of the garage. 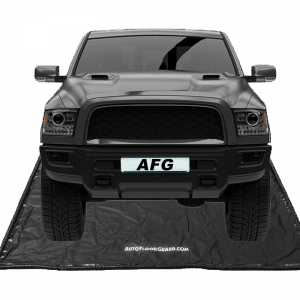 If your AFG is moved slightly from its intended position due to an occasional hot tire sticking to the dry mat. If the corners move out of position when using a squeegee or broom to sweep out accumulated liquids. Take advantage of this great deal and purchase one of our Open Box Containment Mats.